Listing presentations are crucial for agents to attract new sellers. Here are 3 digestible tips and tricks that you can learn from today. In today’s crowded real estate landscape, one must stand out in order to be successful. Agents who do so are known throughout their community and become household names for sellers to go to. In order for agents to be established, they need to work on their listing presentations. Listing presentations turn into leads and stronger rapport in markets. The following are three ways to improve listing presentations. The first part of a multi-pronged approach to improving listing presentations is to focus on your own personal brand. Successful agents possess social intelligence, a keen ability to interact, persuade, and network efficiently. Consumers gravitate towards warm, amicable personalities far more than the rigid, staunch types. Greeting everyone with a friendly smile and always looking to sell yourself and your brand is key. The second part of one’s approach to improving listing presentations is to establish a strong online presence. 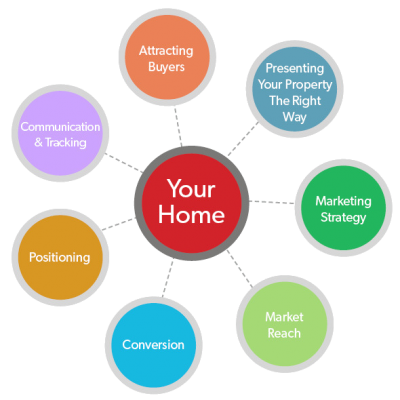 By showing potential sellers how you would sell their house online is crucial. If a seller sees that an agent has created a co mprehensive media kit for their listings online, then they will be more likely to trust them with their own home. Agents can show potential sellers sample splash pages and email campaigns that will be run if a seller chooses them. Furthermore, agents can post their accolades and sold listings on their websites. All of these elements will influence a seller’s decisions to choose an agent. Finally, to cap off the multi-pronged approach to improving listing presentations, agents need to establish a strong direct mail campaign. Agents can mass send out flyers, calendars and newsletters to zip codes in which they are operating. Direct mail marketing ensures that your brand is seen in every household. The key to successful mailing campaigns is to provide the seller with meaningful content. Flyers should not come off as pushy or as aggressive sales tactics. Through a mix of establishing a charming personal brand in cadence with strong online and direct mail campaigns, agents can improve their listing presentations. By doing so, they can generate more sellers and in turn grow their clientele and referral network.